Milk & Co is a home-grown Aussie brand created by Olympic swimmer Michael Klim and Lindy Klim. Their beautiful range of skincare, bath and body care products contain 95% naturally-derived ingredients, gentle to all skin types and suitable for the whole family. The Him, Her and Baby ranges are gentle on the skin and provide effective skincare solutions. The two products that I will be highlighting from the range today are the Body Scrub and Revitalising Body Lotion. Milk & Co’s Body Scrub is formulated with skin-loving turmeric, aloe vera, rose hip oil, coconut shell, lavender oil and cinnamon bark oil. This blend of natural ingredients is designed to gently exfoliate, soften and rejuvenate the skin. This hard-working scrub not only refreshes and smoothes my skin but it also smells pretty amazing too! 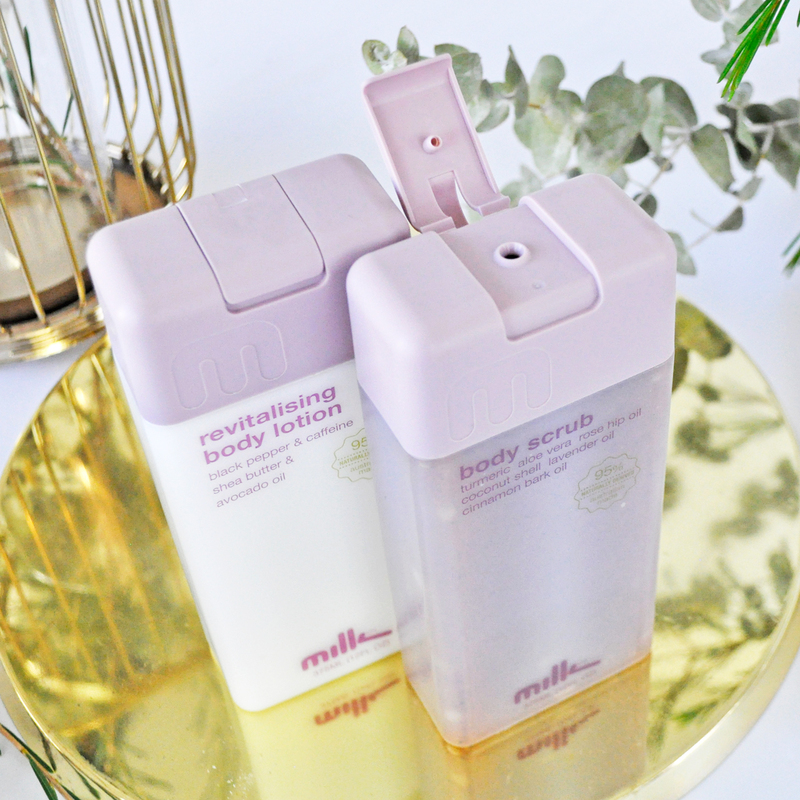 Milk & Co’s Revitalising Body Lotion is a gorgeous combination of caffeine, black pepper, shea butter and avocado oil to simulate blood flow and rehydrate the skin. This nourishing cream leaves my skin feeling silky smooth and revived with a delightful, subtle fragrance. It is absorbed quickly into the skin and also helps treat aches and pains with it’s warming action on the body. At MILK & Co we believe skincare is part of your every day life. It needn’t be complicated or costly, instead full of richness from mother earth! 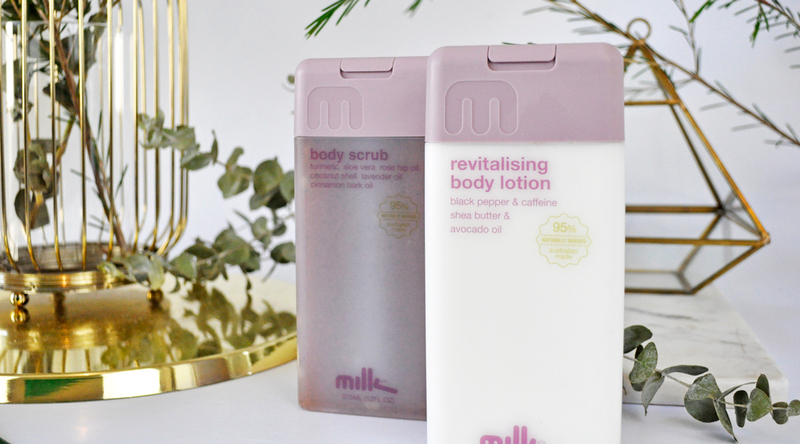 Milk & Co’s Body Scrub and Revitalising Body Lotion can be found at Coles, Woolworths, Pharmacies and specialty retailers. Also internationally stocked in 15 countries including Boots in the UK, Sephora in Singapore and Boshiwa in China. 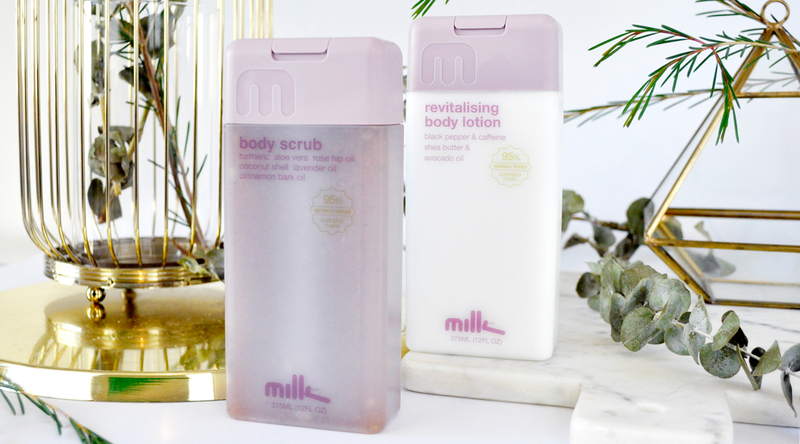 Have you tried Milk & Co skincare before? What is your favourite skincare product or brand? Their products are just lovely! I will definitely be recommending them to my mum friends. I love that the whole family can use it. I’ll have to check out more of their products. I want to get a few mens skincare items for hubby. I have used the milk range for my baby (and sneakily for myself). I live it! Haven’t tried them before, but that body scrub sounds perfect for me! How lovely are these!! I love the packaging, it’s so gorgeous! They’re so good, and the packaging is very convenient. Have you reviewed products from this brand before? I feel like I’ve heard of them but not sure from where… and how cool that they sell their products in 15 other countries, I hope US is one of them so I can check them out. I love the sound of their body lotion!